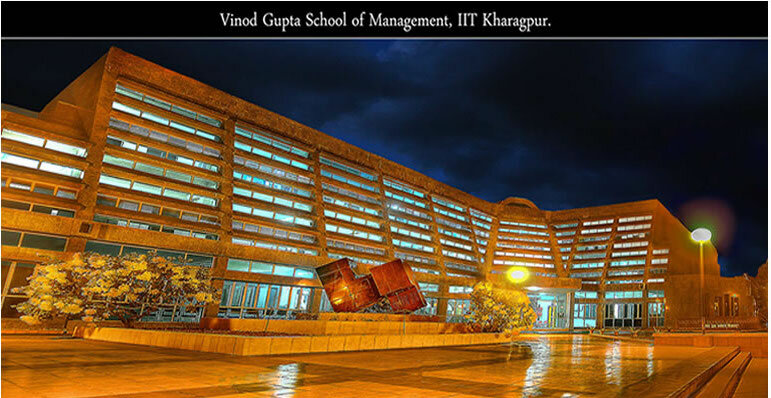 The Vinod Gupta School of Management, IIT Kharagpur was all in readiness on the 8th of February, 2018 as it hosted an accomplished leader from the corporate arena, Dr. Madana Kumar, Vice President and Global Head – Learning and Development at UST Global for a guest lecture to the budding managers of the Institute on the stimulating topic – ‘A New Leadership Paradigm for A Digital World’. A decorated leader from the corporate arena, combining in himself more than 3 decades of experience, our honourable guest was an institute of industry experience in himself for the attendees. Having served in leadership positions in a range of multinational companies of the likes of IBM, HCL, UST Global to name a few, Dr. Madana Kumar has had a bird’s eye view of the Information Technology industry for a substantial length of time now. It is this invaluable experience and the associated learnings that Dr. Kumar chose to share through his immersive session with the inquisitive managers of VGSoM who stand right at the threshold of the corporate world at this juncture of time. Dr. Madana Kumar highlighted the unprecedented rate of technological change that we are a witness to today as the undertone for the session and the ensuing discussions. With the world taking giant strides towards a digital era of the future, the need to weave a digitally influenced thought pattern into every organization’s cultural fabric is a must, according to him. With changing times, come paradigm shifts in the way technology is involved in clinching results for clients. Dr. Kumar emphasized on how the world has moved to a point in time where the experience of technology from the human perspective and not just the technology itself, is perceived to be of paramount importance. He mentioned how important it was for consultants to approach clients with a clear purpose of reviewing their pain-points and aiming to resolve them. This according to Dr. Kumar called for deep analysis, design thinking capabilities in order to re-engineer and tune the existing business processes to add more value to the client’s business and solve their issues. Technology should according to him, be used as an efficient enabler in this entire exercise to come out on top for the client’s cause. “Design for happiness,” an integral part of UST Global’s culture, was Dr. Madana Kumar’s message in this respect to the audience. Speaking on the topic of Learning and Development that is cardinal to the knowledge-based economy of the present times, Dr. Kumar underlined the fact that the commonly known 3 stage Life Model comprising education, work, and retirement (in the same order), had also been redefined. Thus, the topic called for a fundamentally different route to dealing with it. Today’s employees identify education, exploration, employment, transition, self-empowerment, a mix of paid and unpaid work, and satisfaction as the pillars to their work-life. Thus, companies must strive to build learning and development platforms characterized by great user experience, good content, a strong partner ecosystem, and diversity to foster the cause of enriching their talent pool. “A great learning experience that is both engaging and enabling would perhaps lead to the expected outcomes“, said Dr. Kumar. The penultimate part of Dr. Kumar’s session dealt with the seminal subject of ‘Leadership’. With an exciting activity involving everyone in attendance writing down his or her own definition of leadership and exchanging it with one another, in a rather unconventional yet enjoyable fashion of throwing it across the room, Dr. Kumar reiterated the fact that everyone has a unique definition of leadership with himself or herself. Close to the heels of this, he brought to the fore, the captivating topic of ’Servant Leadership’. Quoting Victor Hugo, Dr. Kumar said, ‘There is nothing as powerful as an idea whose time has come’. Akin to this, the concept of ‘Servant Leadership’ in his opinion was now fast capturing the corporate arena’s imagination. The trend today is more about influencing and not managing people, unlike the past. This is where, the novel idea of ‘Servant Leadership’ fits in, as it tries to empower the followers and make them more responsible by placing the good of those led over the self-interest of the leaders at the forefront. This, as accentuated by Dr. Kumar has already yielded appreciable results for many reputed Fortune 100 companies and thus must also be adopted by leaders of the future to stay competitive in their domains. Ultimately, Dr. Madana Kumar wound up the invigorating session with a question and answer section where, the aspiring leaders, made sure to pick the most from the eminent guest through answers to their queries. Hence, the session reached its culmination on a very positive note, one where the students were inspired enough to carry the attained crucial learnings with them as they step into their workplaces. Thus, the Vinod Gupta School of Management, IIT Kharagpur once again extends its warm gratitude to Dr. Madana Kumar for his precious contribution in shaping the students of the Institute and looks forward to lasting relations with him in the times to come.